Ring News 24Boxing News OtherMichael Griffin’s Torment After Stevenson v Gvozdyk Fight A Reminder That Referees Are Only Human! Michael Griffin, the referee who oversaw Adonis Stevenson’s disastrous defeat to Oleksandr Gvozdyk on December 1st in Quebec has claimed that he has lost over ten pounds due to stress regarding the fight, it has been reported. 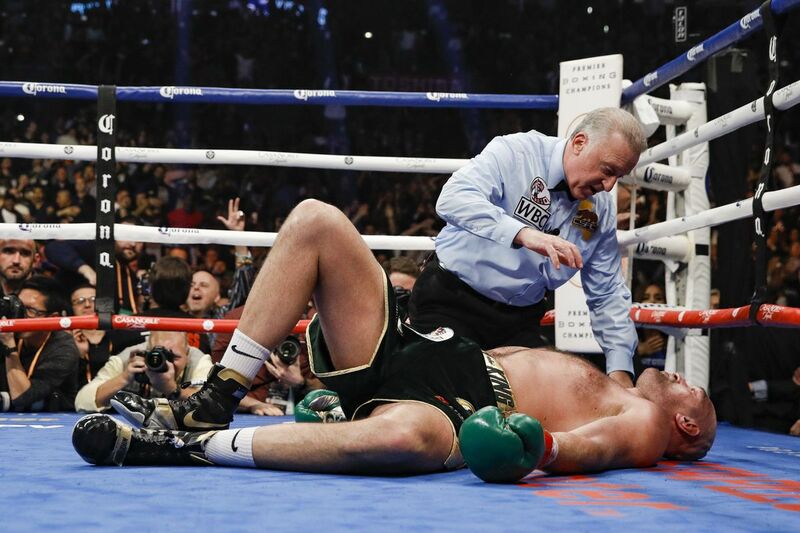 The former WBC light-heavyweight champion was stopped in 11 rounds. He soon began to complain about numerous physical symptoms including dizziness and feeling ill. A hemorrhage was found by doctors, which had to be operated on and Stevenson had been placed in a coma ever since although media sources have stated that he has awoken today. The right side of his body has been said to be paralyzed, but on the positive side he has been talking to family relatives. 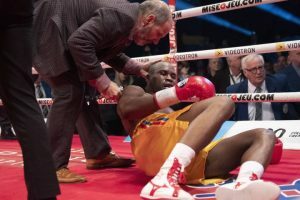 Adonis Stevenson attempts to rise after his shocking loss to Oleksandr Gvozdyk. Griffin stated that he has rewatched the contest numerous times and said that things went by so fast. He went on to say that his position next to the two boxers near the time of the knockout was such that he felt that he was forced to wait a little longer to make up his mind whether to step in. Speaking to the Montreal Journal, he said: “I had to watch the fight again at least a hundred times. Everything went so fast. I was dealing with a southpaw against a right-hander and it’s harder to always have an open angle to intervene. I can not see how I could have reacted otherwise. I saw that Stevenson could no longer defend himself. But because of the movements of the two boxers and my position, I had to wait a second,” said Griffin. All of this should serve as a reminder to every follower of the sport who wishes to criticise the judgments that they make on the evening of a fight that nobody is perfect. Just a couple of weeks ago an abundance of words were hurled in Jack Reiss’ direction after complaints that he should have called a halt to Deontay Wilder’s championship fight with Tyson Fury after the Brit was heavily put on his back in the final round. Fury got up and Reiss took a few extra seconds to make sure that the boxer’s equilibrium was still intact. 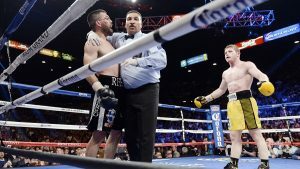 Instead or praising Reiss for making extra sure of Fury’s safety, the referee had to handle harsh accusations that he was being biased in favour of the challenger by giving him more time to recover. What needs to be remembered is that the third man in the ring is not only in charge of one life, but two! And while a referee has already undertaken what is required to get their refereeing licence, what really matters is the experience gained by actually performing on the job. No amount of training will mentally prepare anybody “out in the field.” Mistakes are still going to be made and complications will arise. That is part and parcel of any job. Not just being a boxing referee. Michael Griffin’s disturbing words about his mental state after the Stevenson v Gvozdyk bout is something that only somebody like him will ever understand. And we should all sit back and think a little more carefully before we vocally sling our highly emotional thoughts their way. It has been noted that there is a lot of ignorance about how the system actually works and many are often ill-informed. 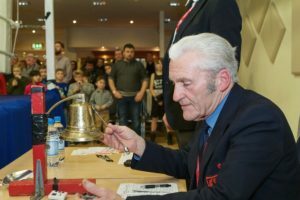 A timekeeper is responsible for making sure a count for a knockdown is correct. Take Jack Reiss’ count he gave to Tyson Fury in the 12th round, for example. I did not see one single mention by those who thought that he gave a “long count” that the timekeeper exists to regulate the count. That is one of their duties. It is important to gain all the facts and knowledge that is needed first before making a protest. Doing so would at least reduce the number of claims of corruption, which often air with no solid evidence or underlying basis to back them up. Boxing is a very dangerous sport and it takes an immense amount of courage to think in the moment to prevent tragedies from happening at any second. Perhaps that is worth thinking about during the next time you see a referee trying to retain control in the midst of blood being shed. Are Anthony Joshua vs. Jarrell “Big Baby” Miller and Amir Khan vs. Kell Brook on The Way?